I came back with a new circle lens review kindly sponsored by Lensvillage, I was able to choose a pair of lenses in their vast selection so I decided to take my first pair of pink lenses Eos New Adult pink, I already have this model in brown and green (check the previous review for Lenvillage here!) so I was kinda sure they'll suit me well like the other ones! 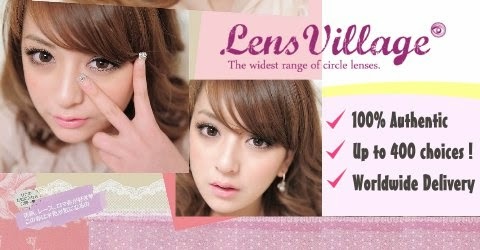 If you decide to buy lenses from them you totally need to join their instagram contest! Just tag their official account @lensvillagedotcom and put the tag #lensvillage and you can win three pair of circle lenses, three animal cases, face mask and cute hair fringe holder, amazing, don't you think? The lenses have an amazing and bright pink color that pops up a lot on dark eyes, the design is simple but really cute and you can also wear them for cosplay, as you can see they're really visible in every light condition (and the day was kinda dark because of the rain)! They're also really comfy, I wore them for about 8 hours and I didn't feel any ache on my eyes. They're my favorite model from Eos, bright colors, nice enlargement and cute design, I wish I could try them in all the colors! They are available with prescription! Enlargement 4/5: they have a small diameter but give a nice natural enlargement. Check also their Facebook page to not miss special offers! 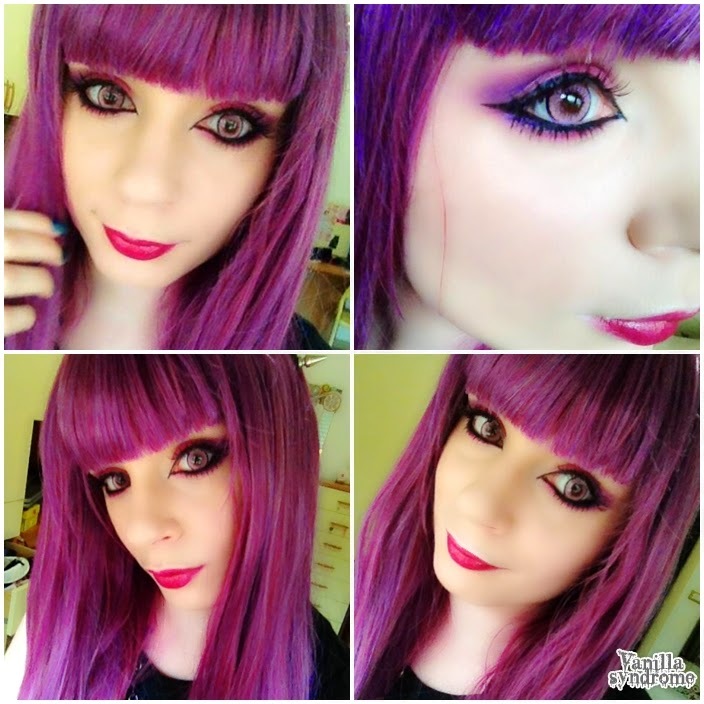 wow o.o I really love so much how you like with this lenses and wig! really pretty! This look amazing on you, they are so striking!! 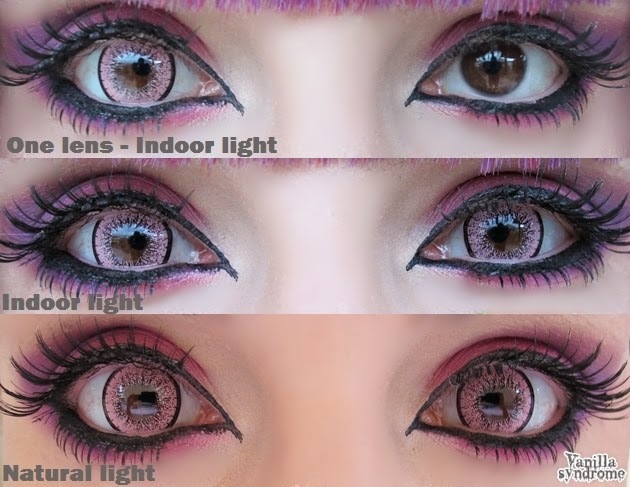 ahhh these are such pretty lenses ^^ the colour really suits you! Oh my, you're just stunning! I absolutely love it.